It didn’t take me long to agree to work as Press for PAX East (if you’re not sure what that is, check the link ahead). After last year’s adventure in San Antonio for PAX South, I was eager to experience the last major PAX event that I hadn’t yet been to. Besides, I’d never visited Boston before. American, Delta, United, Frontier, and Allegiant all operate flights out of my local airport, either directly or through a regional subcontract. While I prefer to fly Delta, they were significantly more expensive than American for an early April round trip to Boston. Neither Frontier nor Allegiant fly into Boston’s Logan International, which put them out of the running. American it was! Given that I expected to come back from Boston with two checked bags plus a carryon, a back-to-front (Economy to Boston, First Class home) flight plan almost paid for itself in bag fees. At least, as long as I didn’t mind flying Boston to Sioux Falls via Charlotte and Chicago. 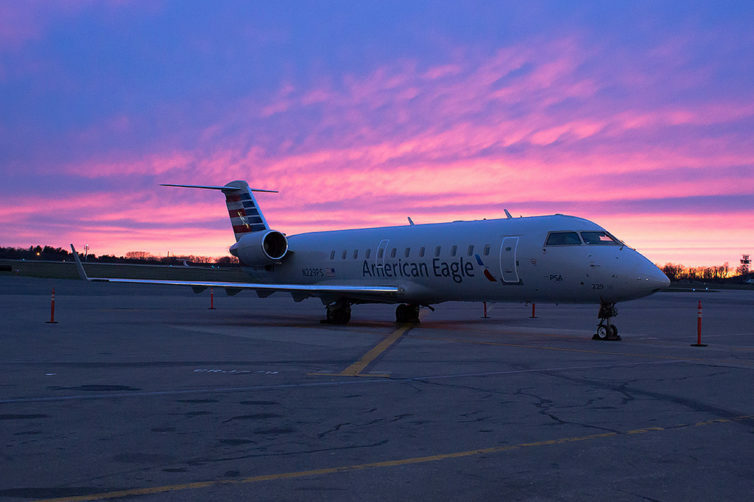 Unlike Delta, which runs its FSD-MSP feeder flights on mainline A320 or B717 aircraft, American contracts with Air Wisconsin to feed their Chicago-O’Hare hub with CRJ-200 flights. These aircraft are all single class 2-2 configuration. As I would find out, no booking consideration is given to First Class on other legs. Anyone wanting one of the few prefered seats on the -200 is going to have to pay for it. These were my first two flights on a CRJ-200. While I enjoyed the dual cabin configuration of the much larger CRJ-900, the -200 was pretty cramped for my 6’1” 200+ lb frame. Tucking my laptop bag under my seat meant playing footsie with my seatmate, but on a full flight, this was my only choice. The flight was at least long enough for the cabin crew to pass out snacks and coffee. 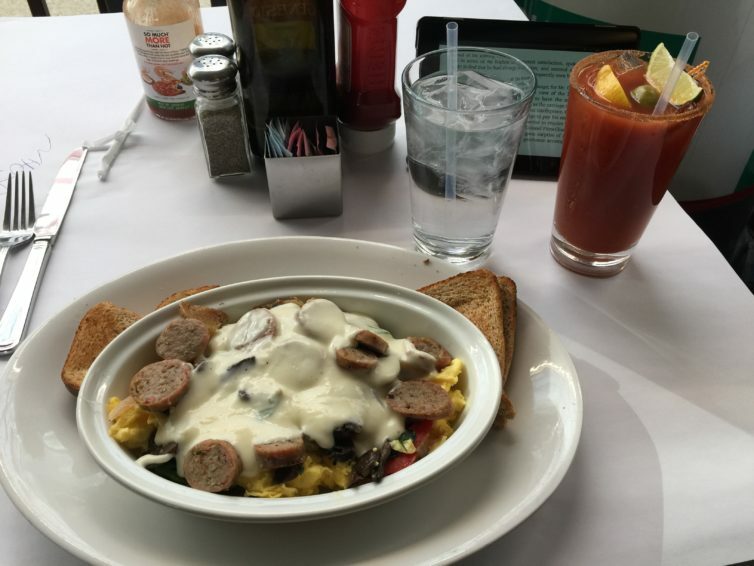 After a civilized breakfast and a mediocre, overpriced Bloody Mary at O’Hare (seriously, what kind of savages put a lemon and lime in a Bloody Mary, but not a celery stick?) I made my way onto my ride to Boston. The economy flight from Chicago to Boston was on one of American’s older 737-800s, replete with creaking drop-down IFE screens playing some mind-numbing selections of NBC’s “finest” sitcoms. Tip for flying domestic on American: bring your own devices, unless you’re very sure you’re going to be on a newly configured aircraft. More on that later. At least the meal was good. Overpriced, but good. After a long, but extremely enjoyable conference, it was time to head home via the longest side route I’ve ever booked. Weather systems can be pretty unstable in early April, a fact emphasized by my needing to coach my wife through starting our snow thrower for a surprise April storm while waiting for my flight to depart Boston. I could have really tempted fate by cutting my connections closer, but felt like I was pushing my luck as it was. The first flight of the day was Boston to Charlotte, on a very tired ex-US Airways A321. American says they plan to upgrade the cabins on these aircraft in the next couple of years, but for now they seem to operate them on high-density short-haul routes. 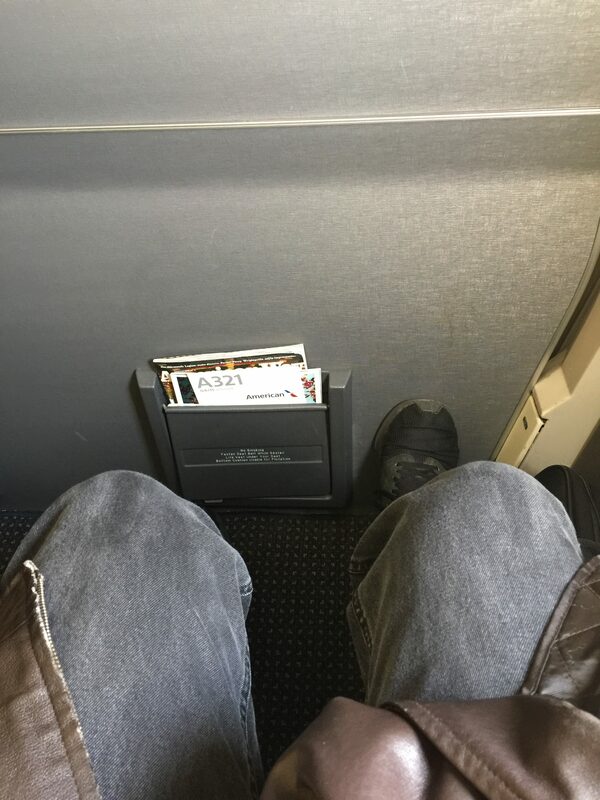 This was, unquestionably, the most underwhelming First Class experience I’ve ever had. 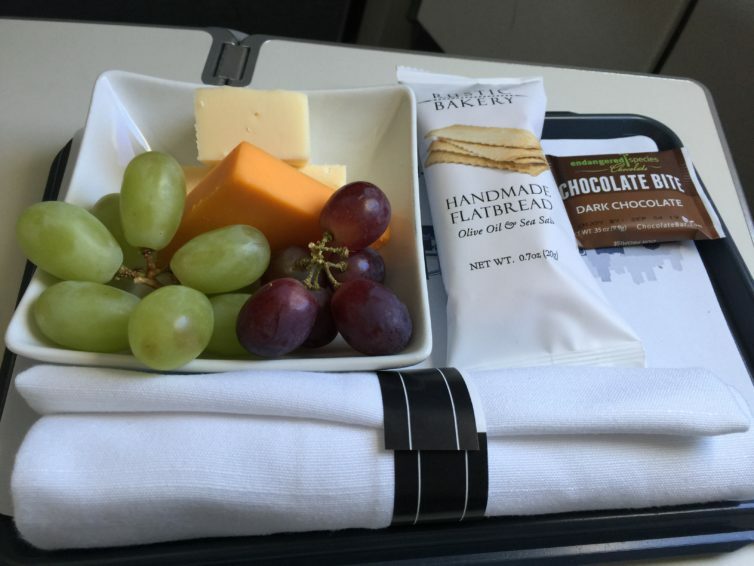 On a two-and-a-half-hour flight, I didn’t expect a gourmet three-course meal, but I do have to point out that Delta’s regional partner manages to serve a full lunch on a three-hour flight in a CRJ-900. On a lunch flight that left before 1:00 pm local, all American would muster for the sixteen of us in First Class was crackers, grapes, and cheese, with a bit of chocolate for a chaser. At least the cabin crew kept my drink full. Having accidentally left my book in my laptop bag, which was stuffed three rows back in an overhead bin, I had plenty of time to contemplate the IFE options available on the A321. Zero. This particular aircraft didn’t even feature the creaky drop down screens of the older 737-800s. American makes a big deal out of their integrated, free Wi-Fi entertainment options available to anyone with their own device. That didn’t work either. Despite a reasonably new Apple iPhone, I couldn’t connect to anything beyond American’s basic web portal. There’s supposed to be a button in American’s app that allows users to connect to the IFE options directly from there. While I consider myself reasonably proficient at working with software interfaces (it is my job, after all) I couldn’t find the entertainment options. In short, my in-flight entertainment options boiled down to the included flight magazine, and the window. And most of the Eastern Seaboard was overcast. Arriving on time at Charlotte allowed me to easily make my connection, and complete my trifecta of visiting all three U.S. airports with questionably inappropriate three-letter designators. Boarding my second flight of the day felt like a breath of fresh air. The Charlotte to Chicago 737-800 must have been one of the last ones ordered by American. The psychological difference that the Sky Interior makes in feeling like you have more headroom is hard to explain, but it’s definitely there. And the screens! Each seat had an individual IFE screen loaded with enough movies and games to keep even the pickiest of people happy for any flight within North America. My favorite part of the IFE was the synthetic cockpit view that gave a faked representation of the view from the front office. However, as a gamer, I had to at least check out a few of the game offerings. The remote control for the IFE has a neat trick where one side works like a TV remote, while the other side flips and contains a D-Pad and buttons for use with the included games. The game selection isn’t anything spectacular, largely consisting of popular mobile apps such as Angry Birds, and brain games like Sudoku. A partnership with Nintendo, Sega, or Atari would do wonders to at least bring in some classic, recognizable games; however, as something to keep kids occupied when their Kindles run out of power, the games are certainly adequate. As a game reviewer, I’ve certainly played worse. I have no comments or pictures of the snack served on the two-hour flight. That’s because there weren’t any. I’ll give American the benefit of the doubt and say that maybe the cabin crew did a snack pass while I was napping, but considering that the cabin crew was fantastically attentive to the levels of my drink, I doubt I would have missed it if they did. A couple of hour layover at O’Hare allowed for some planespotting before shuffling onto another Air Wisconsin CRJ-200 for the final leg home. More of the same from the previous week, though with a surprise reminder from the tired flight attendant that it was against federal regulations to open your own bottles of alcohol on board the flight. I hadn’t heard that one before! The biggest issue I had with American on these flights was the wild inconsistency of both their fleet, and their product. 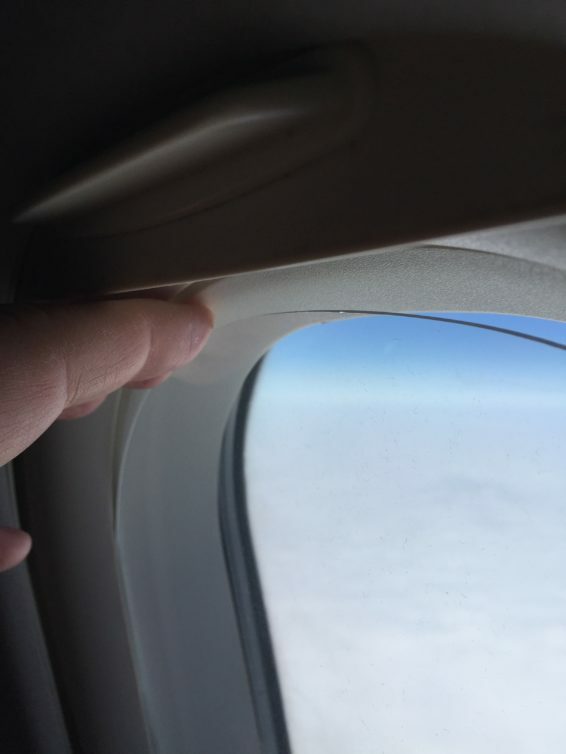 The A321 I flew on was old and creaky – that can’t always be helped, but seeing a finger-sized gap between the top of the inner window and the fuselage of the aircraft while sitting in Seat 1F doesn’t inspire warm feelings of confidence. The 737-800 was so new that it practically still had that new plane smell, but the 737-800 I’d flow on my outbound leg hadn’t received any such cabin upgrades. 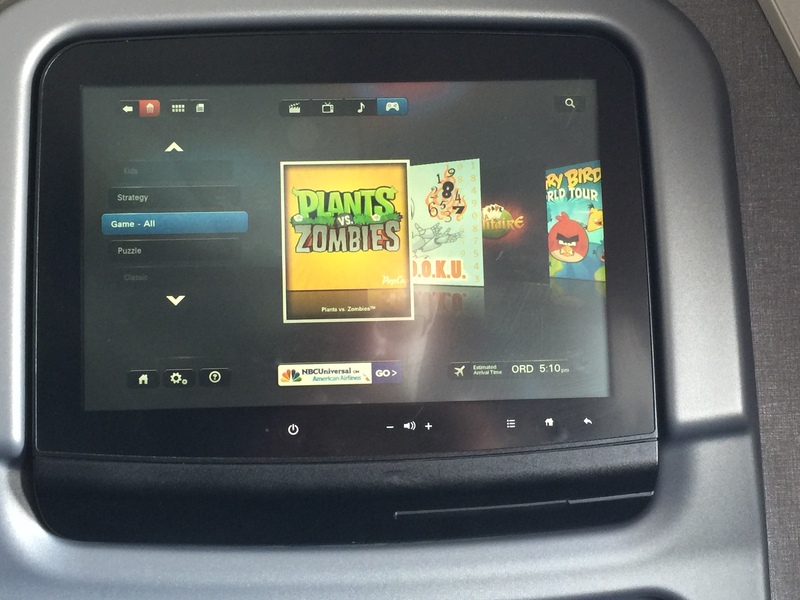 Not having any idea of what you’re getting on a flight makes it difficult to plan personal entertainment choices. Add to that a Bring-Your-Own-Device (BYOD) app that just plain didn’t work. Aside from the complimentary alcohol, the food service had me seriously question why I’d bothered to upgrade from economy at all. Running single-class CRJ-200s as a feeder to my home airport doesn’t help either. It’s not that I didn’t like the little jet, but given that Delta runs mainline service to their Minneapolis hub, I’m much more likely to choose them in the future, even if it means paying a slightly higher price than American. None of this should reflect poorly on the cabin crews, however. On every flight, particularly in First Class, the flight attendants were fantastically attentive. 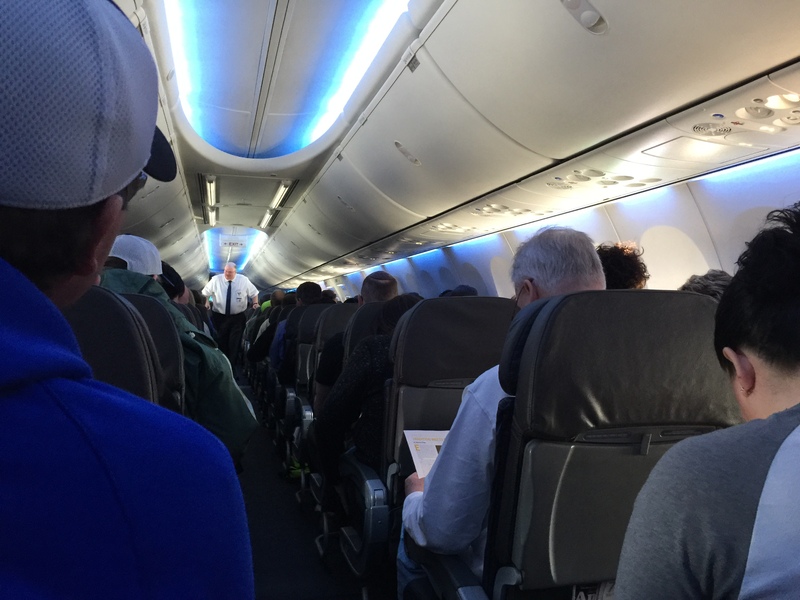 One item in particular stands out – on my flight from Charlotte to Chicago, the combination of lack of sleep, long travel day, insufficient hydration, and overly generous alcohol consumption had conspired to give me a massive headache. With my ibuprofen bottle tucked in the belly of the aircraft in my checked luggage, I made a slightly desperate ask of a flight attendant. His response put me forever in his debt: “I can’t give you any, but if you should happen to come to the front galley in a couple of minutes and find an open, unattended bottle and a glass of water, you can help yourself.” Way to put people first! 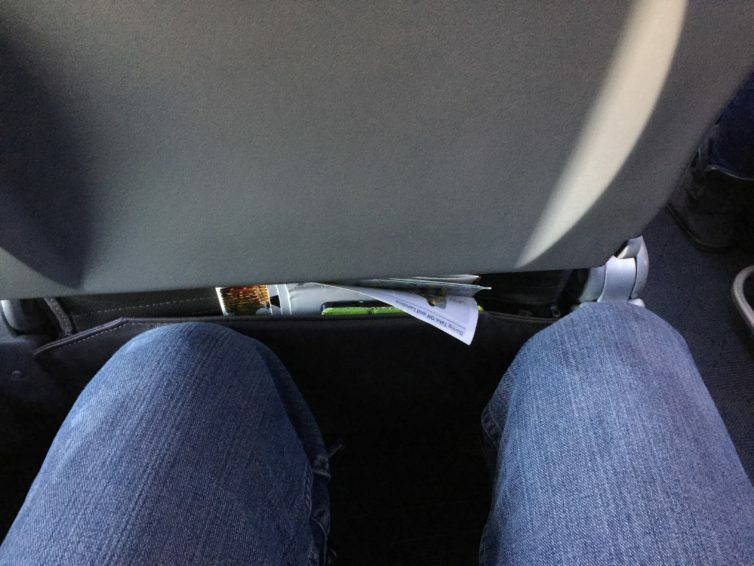 The post Going for it: Trying American Airlines’ First Class Product appeared first on AirlineReporter.